“Coming back to KL, back to the exact space where I started my career as a mixologist is bitter sweet. I get a sense of deja-vu, it’s familiar yet different. The biggest difference is the absence of my mentor, the reason I am who I am today……Frankie P. Anthony.” remarks Amanda Wan with a sense of nostalgia. Come 17 February, Amanda Wan, mixologist extraordinaire will be specially flown in from Hong Kong, where she works as the Beverage Development Manager for Tastings Group, to make a guest appearance at Tujo Bar-sserie & Grill. She will be presenting her cocktail submission to the Bacardi Legacy Global Cocktail Competition entitled Constance to the people of Kuala Lumpur. Her elegant creation pays tribute to a bartender’s persistence and dedication to their craft, doing what they do, every day, every week, month and year. It exemplifies the beauty of constancy, hence the name of her cocktail, Constance. She will also be leading the Tujo Bar Team that night from 7pm, so expect some sizzling creations to be served up. Constance is priced at RM20++ per glass. If you’re feeling peckish, wrap your palates around specially created makis that will pair well with the cocktail : Unagi Bananarama or Assorted Nigiri Sushi at RM38++ and Mediterranean or California Rolls at RM25++. Amanda’s first foray in the beverage business was as a barista in 2005. As her appreciation for coffee grew, so did her interest in spirits. She soon moved from working with beans and brews, to spirits and liqueurs. She joined the now defunct 7atenine at Ascott Kuala Lumpur in 2006 as a bar back and learned under the tutelage of Frankie who was then the Bar Captain. She pursued a Bachelor’s degree in International Hotel and Tourism Management whilst she worked. Despite a grueling schedule of work and school, Amanda graduated class valedictorian in 2009, and earned First Class Honours on her dissertation, the “Evolution of Mixology”. Within a year of graduating, Amanda became the first female bartender to represent her country, Malaysia, at the DIAGEO Global World Class Bartender of the Year Competition in 2010. Since then, it’s been a whirlwind of work and play for the young mixologist. In 2014, she was named Top 25 Bartenders in Hong Kong by Drinks World Asia. Today, Amanda is a top 8 finalist, in the prestigious Bacardi Legacy Cocktail Competition in Hong Kong & Macau. So if you love your cocktails and are looking for a one of a kind mixology experience, save the date and make a beeline to Tujo. You will certainly be in for a treat! 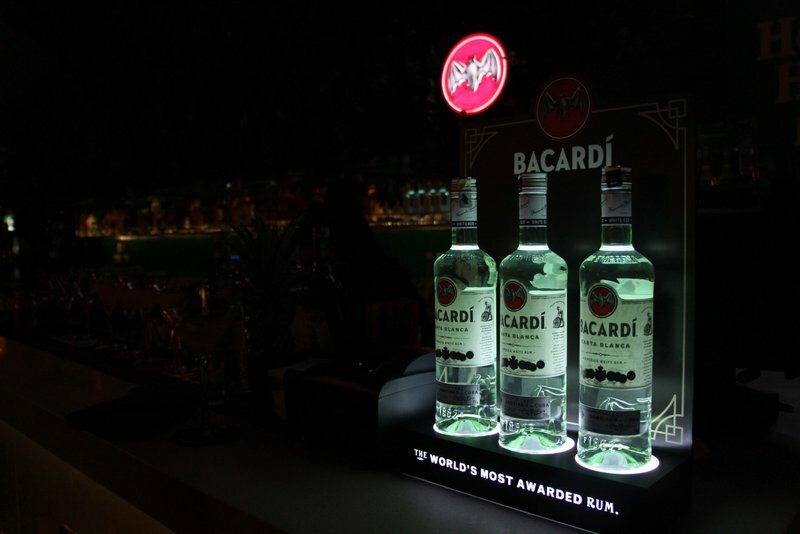 This entry was posted in News and tagged barcadi, cocktails, DIAGEO, drinks, F&B, food, tujo by TheGoodGoodGuy. Bookmark the permalink.